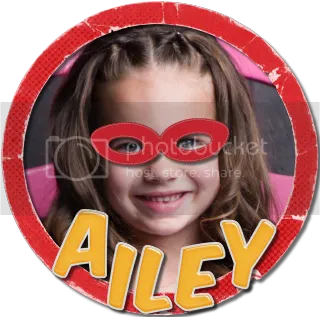 About Ailey – Smileybug Bows & Co.
Next we have AILEY. She is our sweet little girl and such a little princess. She is 6 years old and I have a hard time believing she’s not a baby anymore. She really enjoys playing. She has a creative mind and can play with her toys for hours on end making up stories. Her true love at the moment is Littlest Pet Shop. She has her animals and carries them with her most everywhere she goes. She is also really into cupcakes. No idea why, but she LOVES anything to do with cupcakes. Or as she says it ‘tuptakes’ (all of her ‘c’ sounds come out as ‘t’). When she has the chance to watch YouTube, she will spend her time watching videos of other using LPS toys or something called Nerdy Nummies. She is a little baker at heart. For the most part she is a girly girl, but she has her moments where it’s okay to play with boy toys and wrestle with her brothers. She has THE BRIGHTEST eyes ever and people are always commenting on them. I love her eyes too! She started 1st grade this year and Mommy is adjusting to life with her gone all day. 1. IF YOU WERE GRANTED ONE WISH, WHAT WOULD YOU WISH FOR? 2. WHAT COULD YOU EAT TEN OF? 3. WHAT IS YOUR FAVORITE KIND OF DOUGHNUT? 4. WHAT IS ONE WORD THAT IS FUN TO SAY? 7. WHAT IS YOUR FAVORITE DISNEY MOVIE? 8. WHAT IS YOUR FAVORITE KIND OF CANDY? 9. WHAT IS THE WILDEST THING YOU’D EVER DO TO YOUR HAIR?